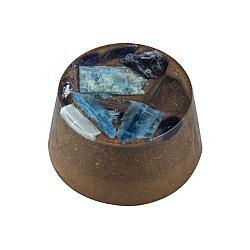 Fresh And Alive Ormusite Scalar Energy Disk, 6.5-inch has been added successfully to your wishlist. Place within 5 feet of a person (the closer the better) to increase energy and reduce fatigue, reduce the effects of electromagnetic radiation, promote a calmer, more relaxed mood, improve sleep, increase muscle strength and balance. Place the disk between your mattress and box spring for improved sleep. Place next to body or under a pillow to help relieve pain and headaches, reduce stress, improve results when engaged in body work such as massage, etc. Massage therapists can place the disk next to or on the underside of a massage table to improve results of massage and energy work on the chakras and spine, reduce pain, and increase range of motion, flexibility, and balance. Some clients report less pain and stiffness during and after deep tissue massage or similar body work. For athletes, physically active professions, or sleep issues, see our Rest Shield powered scalar energy device for much greater results. The 6.5-inch scalar energy disk can be used to help reduce the effects of electromagnetic (EM) radiation, but it's medium size is unwieldy for most portable applications. You may place it under your car seat to reduce driving fatigue and protect against electromagnetic fields (EMF). 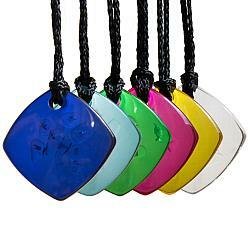 See our 10-inch disk, Holy Hand Grenades and other products for EMF protection. Place within 5 feet of plants to improve health, reduce stress, improve growth, and reduce mold. For green houses, sprouting rooms, and larger areas, see our Rest Shield for a much stronger scalar field that has more effects and reaches a 20-foot radius in all directions. For insects, our 6.5-inch ormusite disk and Holy Hand Grenades are cost-effective solutions. 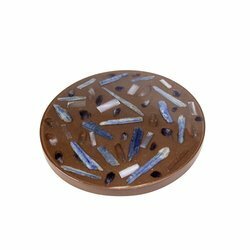 Each disk is composed of kyanite, quartz, and amethyst crystals embedded in a proprietary substrate composed of 15 different metals, magnetics, and ORMUS-bearing minerals. ORMUS, ORME, or M-state minerals are superconducting minerals that create natural Meissner fields and scalar fields that are highly regenerative to living organisms.